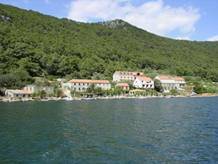 If you are looking for a place in the Adriatic where your activities will not leave biological footprint in a pristine, natural setting, this is the ideal place for you. Your search for the unforgettable holidays on the Croatian Adriatic may have just ended. 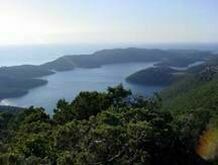 Visiting our small Mediterranean-type village Soline, located within the basic phenomenon of the National Park Mljet, in the channel connecting the unique seawater lakes with the open sea which is the most protected area of the Park, your holidays will get a new, fulfilling meaning. 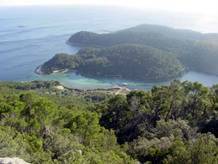 In response to the growing ecotourism movement we initiated this project with the support of National Park Mljet authorities, thus for the first time starting the active collaboration between the sectors of conservation, tourism, government, and us, the local community. 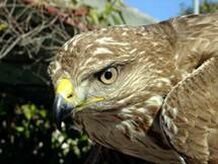 We know that we are still away from the point at which we could say “we achieved the perfect balance”, but we know this is the right way since natural creatures in this unspoiled surroundings still feel comfortable in our presence, and we just want to keep it that way and even make it better, with your help and support.